When it comes to planning their wedding many brides have a distinct picture in their head of what they want their big day to be like. Most people also believe planning their wedding themselves will save them money and ensure their wedding turns out just how they wanted it to. But planning a wedding is far more complicated than most people realise. It has been estimated that planning a wedding can take up to two hundred and fifty hours. When you try and fit that around a job and your lifestyle that can be an incredibly daunting thought. Why not choose a wedding venue that has a wedding coordinator who can help take the stress out of planning your big day? Here at Waterside Events at the Currumbin RSL when you book your wedding with us you will get an event planner who will work with you from your booking, right up until your big day to ensure your day goes perfectly. Event planners are a wealth of information. They spend every day working with vendors, creating contacts and organising events. They know who to talk to, to get what you want, they can often get good deals from vendors and they know who will work best for you because of their relationship with them. They know what will work and what won’t. They can offer advice on anything from colour schemes to cake flavours. The Gold Coast is home to thousands of different wedding vendors, how are you supposed to know who’s the best? That’s where you’re event planner comes in. An event planner knows exactly what questions to ask to get the right information. When asking for a quote for something for a wedding you must be incredibly specific, for example when enquiring about a cake quote, not only do you need to know how many tiers you would like your cake to be, you also need to know how high each tier should be. Your event coordinator already knows what information is required, so you don’t have to sweat about not providing enough information. Anyone who has organised a large event (which your wedding will be regardless of the size of the guest list) will tell you how amazing it is to have an event planner working with you. The one down side of hiring an event planner is the cost. Depending on what you want from them and where they work, a wedding planner can be quite expensive. But if you choose a good venue for your wedding such as Waterside Events, they will provide you with an event planner and save you a lot of money. Event planners will work with you to come up with a wedding that suits you and your fiancé perfectly and will fit into your budget. 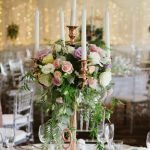 An event planner can help you stick to your budget, and save money where they can so you can spend more money on the aspects of your wedding that really matter to you. An event planner will take care of any problems that happen on the day (which happens more often then you realise) so you don’t have to worry about a thing. Planning a wedding should be an exciting, joyful event, not a stressful time, which is where an event planner is your best friend. The last thing a couple wants to be doing on their wedding day is worrying and rushing around doing last minute things. Would you rather spend the morning of your wedding day on the phone to your venue checking that the cake and the flowers have arrived or would you rather relax and have a cheeky glass of champagne instead? The night before your wedding you should be surrounded by your bridal party celebrating instead of hurriedly decorating your reception venue. This is why you need to choose a venue that has an event planner who will take care of all those details so you don’t need to worry. Take the stress out of planning your wedding and choose a venue that can take care of it for you. Here at Waterside Events, our professional event coordinators can take all the stress out of planning and make sure the happiest day of your life goes off as smoothly as possible. Send us your enquiries, today!